Do you use a proxy? Do you know what a proxy does? Using a residential proxy to protect your online activities has many benefits and advantages. 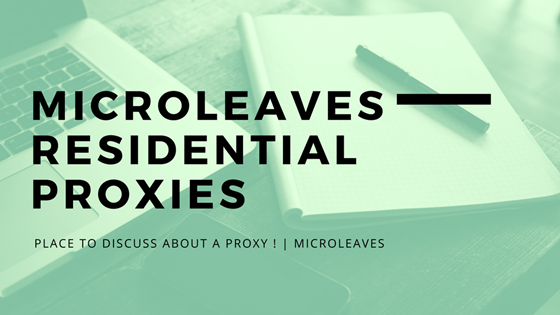 If you have never heard of a proxy before now, or are searching for information on the best proxy service available, read through this complete guide to everything you need to know about Micro Leaves residential proxies. Proxy servers act as an intermediary between your computer and your ISP (Internet Service Provider). A residential IPs or Proxy will be used to cloak your identity and hide your web surfing activities from your ISP. Your IP address is your digital signature online and it is able to be viewed by network administrators and hackers alike. 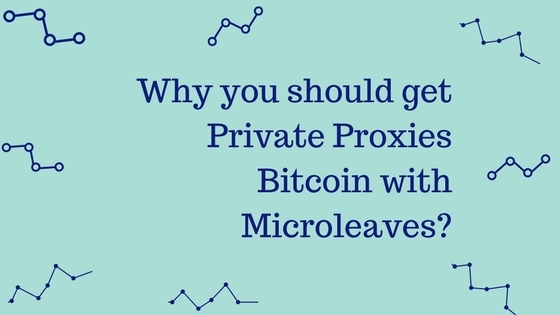 Using a proxy hides your IP and replaces it with a proxy IP that is registered with Microleaves. This all adds up to a completely secure and safe online experience that offer tremendous value for the small subscription fee. Your ISP is able to monitor your browsing and all data that flows through the servers. By using a proxy you circumvent the system and blind the ISP to your browsing activities and data transfer. Proxies can also protect you from cyber threats such as hacking and malware implantation that is used to transfer viruses such as the recent 5111Wannacry’ ransomware that infected over 200,000 PC systems all over the globe. 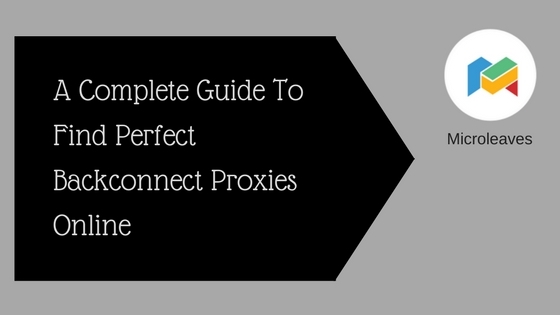 There are many different types of proxies available. Both free proxies and paid subscription proxies are available to use to safeguard your online activities. 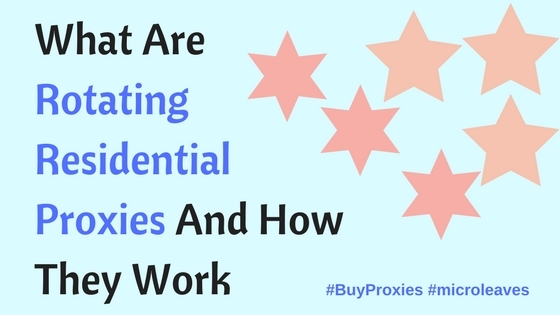 Free proxies are generalized and you will not have the same functionality and level of protection that you could expect from a paid proxy subscription service. Using a proxy to protect you online has some serious benefits that you should stop and consider carefully. Surfing online without a proxy could be best compared to running through the streets naked. You get a lot of attention and sooner or later you will end up in trouble. 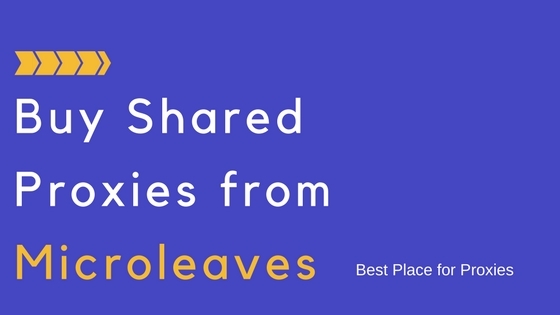 Here are some of the top advantages of using Microleaves residential proxies and how they can keep your personal data safe while you are out surfing the World Wide Web where anything can happen. Private Https dedicated proxies keep your browsing and data 100% secure at all times. Compatible with all high-speed networks. Change your IP address automatically between thousands of IPs managed by the Microleaves network. US based proxies for local US based residences. Elite anonymous status for web surfing. Proxies that work on every website including top retailers such as Amazon and media sites such as YouTube. All proxies are locked to your IP. Bypass blocked websites or zones. Privacy online has become a major concern for most people and if you aren’t concerned then you should be. A proxy prevents tracking cookies and other tracking software from following your digital footprint as you wander through cyberspace. Not only can you surf the internet anonymously, with complete confidence that your data and systems are completely secure, but you have the opportunity access any sites or service that may have restricted access because of your geographical location. With Microleaves residential proxies, you have the power of the internet available at your fingertips, without the risk. While a proxy may not replace anti-malware or virus software, it will ensure that your exposure to threats is limited. Microleaves residential proxies feature a powerful, fast cache system that speeds up your browsing and data transfer times. You can connect multiple devices to your proxy account and protect mobile devices, laptops and desktop PC systems running your operating system and browser of choice. With your Microleaves proxy, you receive your own dedicated client area with a custom control panel to adjust your own custom settings and preferences. Microleaves will never let you down. Our systems are live with 99.9% guaranteed uptime and 1 GBPS super speed connection with unlimited bandwidth. 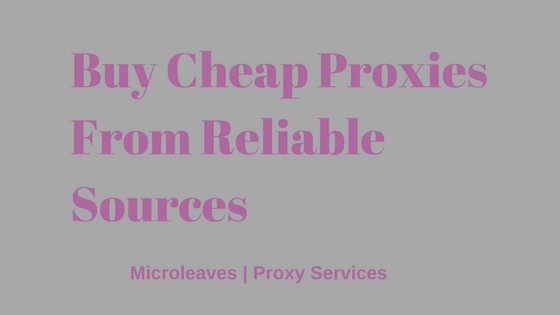 Microleaves residential proxies are great value for money. Can you imagine the replacement cost of a new laptop or PC? What is your personal data worth to you? The inexpensive monthly subscription works out to far less than a cup of coffee per day, how does that sound for complete peace of mind while you are browsing? Our solutions can be customized to your own personal needs, simply call in and speak to our dedicated support team about the proxy solution that’s suited for you. Why not give Microleaves residential proxies a chance? With a free trial of two days, you have the ability to register and not pay a cent if you feel that the service does not meet and exceed your expectations. Start your risk-free trial with Microleaves residential proxies and you will never look back again. Microleaves residential proxies come with world-class support from knowledgeable, experienced technicians that have a complete understanding of the Microleaves systems and their interface with your technology. If you have any issues at any time, drop us an email, call into our offices during work hours or get a hold of our live support teams if you have an emergency. We understand that our client’s safety, security, and anonymity online is of utmost importance. Our dedicated support and service teams will take you by the virtual hand and walk you through any issues you may have. Our team at Microleaves support believes in giving the interests and concerns of our clients our highest attention and we will work with you to solve your issue. Getting started with your own Microleaves residential proxies is as simple as logging on and signing up. Your payment will be processed in seconds, allowing you unrestricted access to your proxies immediately, without the need to wait for any verification. 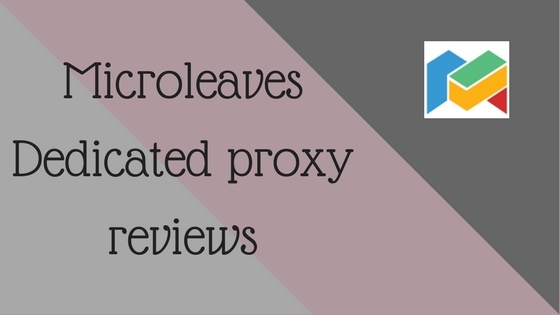 If you feel that your proxy is working well and you are impressed with the service from Microleaves support team, then why not recommend it to your network? With Microleaves you have the opportunity to register as a reseller and earn a commission from every client that you refer and signs up. The fact is that everyone should be using a proxy for effective, efficient, secure and anonymous web browsing a data transfer. 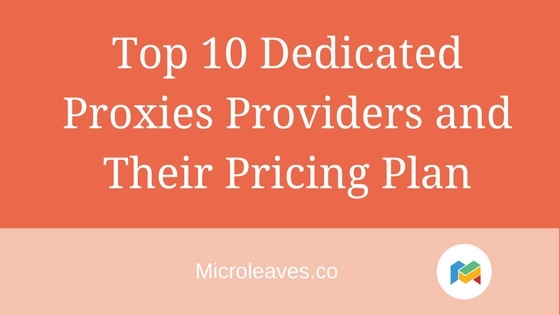 With the Microleaves reseller opportunity, you have the ability to help your network be secure and make a commission that can pay for your own proxy subscription.